I’ve mentioned before about how much I love pasta dishes without an actual sauce, I think it’s because you can actually taste the individual ingredients. 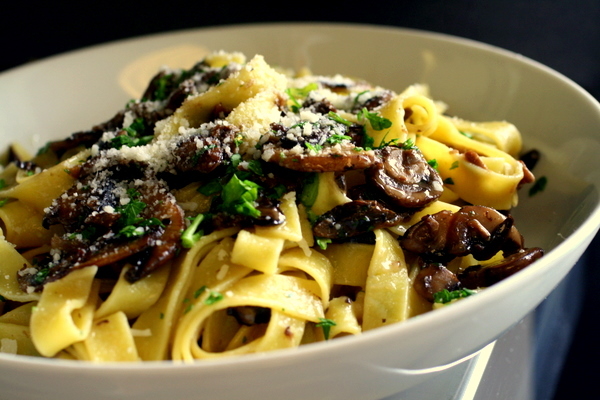 This is one of those dishes and it is definitley one of my top 5 pasta favourites. I picked up some nice mixed mushrooms in Dunnes the other day and we had this for lunch, it’s a great dish for the summer as it is quick, tasty and light. All you need is a nice glass of vino bianco and you’re all set. bring a pot of water to the boil, add salt and your pasta and cook until al dente. heat the olive oil in a pan and cook your garlic clove until coloured and remove. add your onions and cook over a low heat until soft but not coloured. drain your porcini, squeeze out excess water and chop finely. add your sliced mushrooms and porcini, season, cover and cook over a low heat for about 10-15 mins. 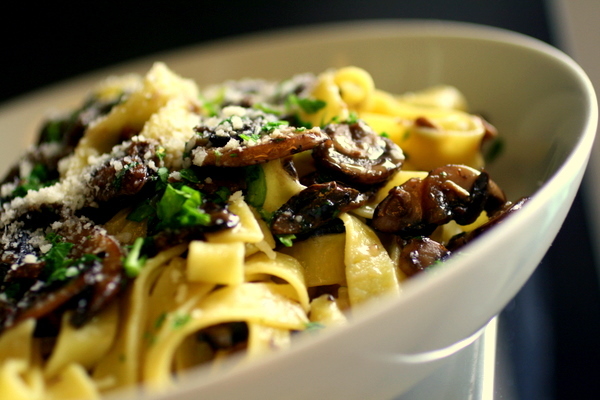 Add some of the your pasta water if your mushrooms dry out. turn up the heat and add your wine and cook for a couple of mins until evaporated. drain your pasta, reserving some of the cooking water. 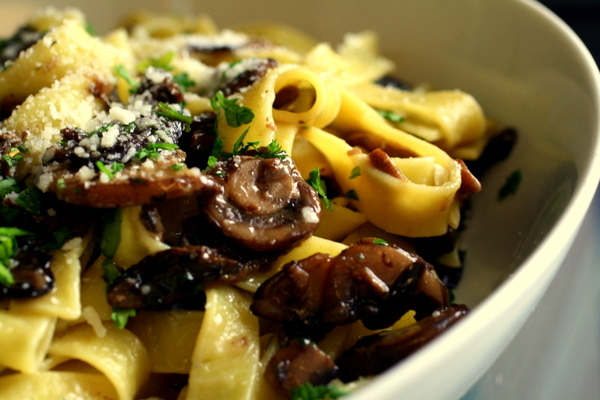 mix your pasta with your mushrooms, some cooking water and your parsley. serve with lots of parmesan cheese on top. If I could only reach through the screen right now. That looks so delicious.